It is in every man’s desires to have the power to attract women effortlessly – well, that’s what my students tell me when they first join the SIBG brotherhood :). A lot of seduction techniques have emerged through the years in order to unlock the female psyche, however, it was Derek Rake (the infamous Dark Rake Method and the dating advice flagship Shogun Method) and Richard Bandler who became masters of developing effective methods on how to seduce women through the power of hypnosis and covert persuasion. When Neil Strauss wrote his book called “The Game: Penetrating the Secret Society of the Pickup Artists”, it created—quite a buzz. Self-proclaimed “pickup artists” found the book to be very informative, and deadly—as it gave them the ability to make women want them in a snap of a finger. Powerful stuff! Within the “seduction” community, a large number of men men engage in techniques that will let them harness the power of Neil Strauss’ method. 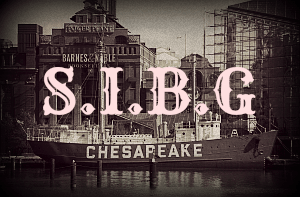 SIBG is one of the pioneering seduction communities – both online and offline – and we have been active since 2001 when we were founded here in Baltimore by Matthew Ganz in a basement off Calvin Street (think Fight Club). It was clear that Strauss’ method became popular and accepted because of his New York Times’ bestselling book, and therefore, it created a stir as men became more curious as to what these “seduction techniques” can do for them AND to women. Fractionation is a killer seduction technique! Seduction techniques have evolved, and the more popular methods such as the Rising Sun, the October Sequence, and the Death Pattern all have become an inspiration for Derek Rake to create and develop his own technique called “Fractionation Formula.” Note that this goes well beyond what we’d call “Seduction 101” – it incorporates techniques which are too sophisticated for the casual seducer. Fractionation was first discovered by Sigmund Freud. John Grinder, who founded the Neuro Linguistic Programming, then used Freud’s methods in developing his own techniques. In a nutshell, Fractionation relies heavily on hypnosis, psychology, and persuasion—tricks Freud likes to use as we all know—in getting the job done when it comes to unlocking the brain and all its deepest, darkest secrets. Throughout time, Grinder further developed this technique, allowing men to understand and unlock the female psyche—so much so that it became a deadly and almost a forbidden method as it had been known to mess with women’s minds. Derek Rake came to the SIBG lair here in Baltimore to speak during the “birth” of this technique, and we were privileged to witness the formulation of one of the most effective seduction technique ever known to mankind. Much of the “Fractionation” knowledge base today is derived from Derek’s work. For more information on how to use this technique to seduce women, click here for a free video guide. Fractionation has been widely accepted within the seduction community (although remains somewhat unknown outside). It became a core component of Derek Rake’s infamous Shogun Method program – one of the most popular seduction “philosophies” around, and also widely adapted inside SIBG’s own bootcamps. Shogun Method has sold millions—and as a result, Fractionation became a sought-after seduction technique among men who want to achieve the somewhat mythical “attraction superpowers“. There are a lot of Fractionation practitioners who could attest to the effectiveness of the technique. Stories—both controversial and almost unbelievable – have been documented, as testimonies of practitioners flourished each time the word “Fractionation” is mentioned. The end result is always the same — Fractionation would let a man to seduce a woman and get them to bed in less than 15 minutes. And yes, in case you were wondering, it also works in other contexts as well (for example, online dating, or even texting if done correctly). The developers of Fractionation knew the powerful effects of this method. Because it involves hypnosis in order to infiltrate a woman’s source of desires, the originators actually issued a word of warning and actually discouraged the use of his method. Since the technique is highly capable of actually harming a woman emotionally, Derek Rake has put out disclaimer and requested for his method to be used responsibly. As this word of caution was released, our resident Baltimore Lair seduction knowledge holder, BrianX formulated his own version of the technique. He simplified Derek Rake’s method and made it more “harmless”, especially to beginners who want to try and practice it. His approach lessens the risk of damaging a woman’s psyche temporarily (or even permanently), making it a safer, yet effective choice. For a sampler of this technique, email me at matt@sibg.com; or you can walk up to our lair on Calvin Street here in Baltimore (address here) and ask the receptionist to buy this booklet ($117). Hypnosis (or mind control in general) can be a very touchy subject. However, when it comes to the seduction game, the use of hypnosis is pivotal to make any woman want you almost immediately. Think about it as mind control on steroids. 🙂 While controversial, hypnosis has been verified medically to work – for example, the famed Mayo Clinic has a primer on it at its website (see this). 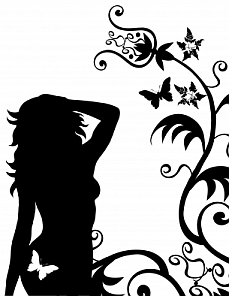 Fractionation Seduction features effective steps that should be done in order to create an attraction between its practitioner and to almost any woman in the quickest amount of time. Now, this is something every man wants—you may think that getting that pretty woman at the bar to go home with you is going to be an arduous task and impossible—but with Fractionation Seduction, all these thoughts that you are way over your head in asking her out and her wanting you will immediately vanish. Fractionation is an advanced conversational seduction technique which should only be attempted by the ethical! Normally, part of Fractionation Seduction is the use of body language and the use of hypnosis to subtly form an emotional connection with a woman. Fractionation Seduction makes it easy for you to create this emotional bond, allowing her to open up to you in the process, and eventually make her want you in the end. I’m Hooked… Tell Me More! Now these steps can be really detailed, as there is a science behind it. Not all men can just pull the hypnosis card on every woman. It needs to be learned and mastered over time, as it is, like we’ve said countless times, very powerful and can be very deadly when used irresponsibly. Unfortunately, the Fractionation Seduction technique cannot be summarized into one article, as it needs to be learned in detail. Moreover, it takes time to master this seduction technique, and learning it would really let you reap in all the benefits if you want to make any woman want you and get attracted to you, even if you’ve only met for the first time. If you’re a member of the SIBG lair, we will connect you with a mentor who will tutor you until you succeed. A word of advice, though—the Fractionation Seduction is highly effective, but at the same time, highly dangerous, when placed in the wrong hands. It takes extreme patience to master it. The rewards will be priceless, though be warned that you may be harming another woman unintentionally, whether you like it or not. Are you ready to achieve a whole different level of greatness by making any woman want you at your command? Are you responsible enough to conquer any woman you want? Are you man enough to face all the consequences, both great and harmful, Fractionation Seduction can powerfully bring to your life?